As per the Global Startup Ecosystem Ranking Report 2015, is home to approximately 3,100 to 4,900 active tech startups and has achieved the second highest growth rate for exit volume and VC investment among the top 20. As a result, moved up four positions to #15 in 2015, advancing from #19 in the 2012 ranking. As per this report, is the only Indian city to be ranked within the best twenty startup eco systems across the world. 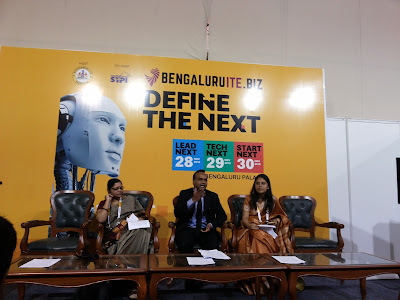 Though the State had pioneered several initiatives to promote startups in the past couple of years, the Karnataka Startup Policy, announced last November 2015, was the country’s first Multi-Sector Startup Policy with a vision to create a world-class startup ecosystem in the State through strategic investments and policy interventions, leveraging the robust innovation climate in Bengaluru. The policy was brought out with the vision that innovation needs to be promoted across sectors from agriculture to aerospace and that it needs to be nurtured across the state including in tier 2 cities. In the above background, the Government of Karnataka, has launched for the first time, Startup Karnataka Top Tech-25 Awards 2016 to recognise promising startups of Karnataka on Day Three, the 30th of November 2016, of the state’s premier IT event, ITE.biz 2016. These awards are being given in five categories namely IT/ITES, ESDM(Electronic System Design and Manufacturing), AVGC (Animation, Visual Effects, Games and Comics), Biotechnology, Pharma & Life Sciences and Social Inclusions.